We wanted to take this opportunity to share with you some very exciting developments regarding the pediatric cancer and bone marrow transplant (BMT) programs at American Family Children's Hospital in Madison. We believe these advances are essential information for you and your members. Without question, our team has played a very influential role in the advancement of pediatric cancer treatment over the past two decades, especially in the areas of childhood leukemia, pediatric immunotherapy and neuroblastoma. Our faculty physicians are also members of the UW Carbone Cancer Center, the only comprehensive cancer center in Wisconsin as designated by the National Cancer Institute. We are one of only eight centers in the U.S. (and the only one between the Great Lakes and California) offering this effective treatment for patients with refractory or relapsed neuroblastoma. The treatment combines radioactive iodine and metaiodobenzylguanidine to target malignant cells and concentrates in the neuroblastoma tumor. Novel protocol involving natural killer cells with patients needing a bone marrow transplant. We will soon begin enrolling patients in a novel protocol that isolates NK cells from a bone marrow donor and infuses them into the patient post-transplant. Our belief, based on strong pre-clinical data as well as clinical data from BMT studies, is that these NK cells may be able to mediate a potent anti-tumor effect. This protocol will be open for patients with either relapsed leukemia or solid tumors. We are also developing methodologies to expand donor NK cells ex-vivo. This capability will lead to the development of new clinical research initiatives for the treatment of pediatric malignancies. Addition of three bone marrow transplant faculty members. To help grow our program, we recently have hired two faculty physician-scientists accomplished in all aspects of pediatric hematology/oncology and stem cell transplantation. Mario Otto, MD, PhD is joining our faculty from St. Jude Cancer Research Hospital and is an expert in anti-tumor immunotherapy in the setting of BMT using NK cells. Christian Capitini, MD, is joining our faculty from the National Cancer Institute. He is an expert on immune regulation and anti-tumor vaccines in the setting of BMT. Drs. Otto and Capitini will be involved in our clinical BMT effort, and will have the major part of their efforts focused on lab work that they will be translating into novel clinical initiatives in BMT. We also are recruiting for 2012 to fill a newly created clinical faculty position for our BMT program. This new Pediatric Hematologist/Oncologist will have a clinical focus on delivery of care for standard and innovative BMT treatments, and will join Dr. DeSantes in leading our clinical BMT program at American Family Children’s Hospital. Our institution was recently selected to be a member of the NCI-sponsored Clinical Immunotherapy Trials Network. This consortium will facilitate the development of multi-center clinical trials exploring novel immunotherapeutic approaches to treat cancer. Our adult and pediatric BMT program was recently designated as an "overachiever" for unrelated donor transplants by the National Marrow Donor Program, because of the excellent outcomes observed in this patient population. Complementing our research developments, American Family Children's Hospital is known throughout the region as a beautiful, state-of-the-art facility for which both families and our own staff have the highest regard. Our hospital recently was ranked among the top 50 children's hospitals in seven specialties - including cancer - in U.S. News and World Report's 2011-12 Best Children’s Hospitals Guide. Within our pediatric cancer unit is a spacious bone marrow transplant suite that offers patients who must be in isolation for many weeks a large and comfortable space for them and their family. We also involve family members and patients during daily rounds to ensure their input in the child's plan for the day and overall plan for the stay, as part of our commitment to provide family-centered care. 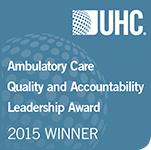 University of Wisconsin Hospital and Clinics is recognized as one of the most progressive and prominent medical centers in the country, and influential organizations and media institutions often recognize the quality of our work. Our bone marrow transplant program is one of the oldest in the United States, as UW Children's Hospital and the University of Minnesota hospital are recognized as the two centers that simultaneously performed the world's first successful BMT procedures (Bach FH et al, Lancet, Dec. 28, 1968). Our adult BMT volume includes more than 100 bone marrow transplants per year, with patients coming from across the Midwest.